BSc in Biological Sciences (Federal University of Santa Catarina - UFSC), Brazil (1991) and PhD in Parasitology (Federal University of Minas Gerais – UFMG), Brazil (1999) with a collaborative period at University of California Los Angeles - UCLA (1998). Post-Doctoral Fellow at the University of East Anglia – UK (2007/2008). Professor of Cellular and Molecular Parasitology at the UFSC Department of Microbiology, Immunology and Parasitology since 1994 and Research Fellow of the National Council for Scientific and Technological Development - CNPq (Brazilian Government Agency) since 2001. 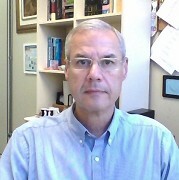 Head of the UFSC Department of Microbiology, Immunology and Parasitology (2016-2018), Member of the Brazilian Society of Parasitologists (SBP), Brazilian Society of Protozoology (SBPz), Brazilian Society of Tropical Medicine (SBMT) and the Brazilian Society for Scientific Development (SBPC). President of the Brazilian Society of Protozoology (2017-2019) Member of the editorial board of Experimental Parasitology and Parasites & Vectors. Associate Editor of Infection, Genetics and Evolution. Research interests are related to the cell and molecular biology of pathogenic trypanosomatids, especially on the genera Trypanosoma and Leishmania. Specific interests are cell differentiation, antioxidant defense, host-parasite and vector-parasite interactions, genetic variability, regulation of gene expression, genome biology (Structural, functional and comparative genomics) of trypanosomatids.